Bone conduction is a technology heavily used in hearing loss technology where the cochlear bone is stimulated with vibrations and carry this sound information directly to the hearing centres in the brain. If the ear canal is damaged and in-ear hearing aids can’t be used then cochlear implants or cochlear conduction devices are used to bypass the ear and deliver the information to the brain. How does this technology help the visually impaired? 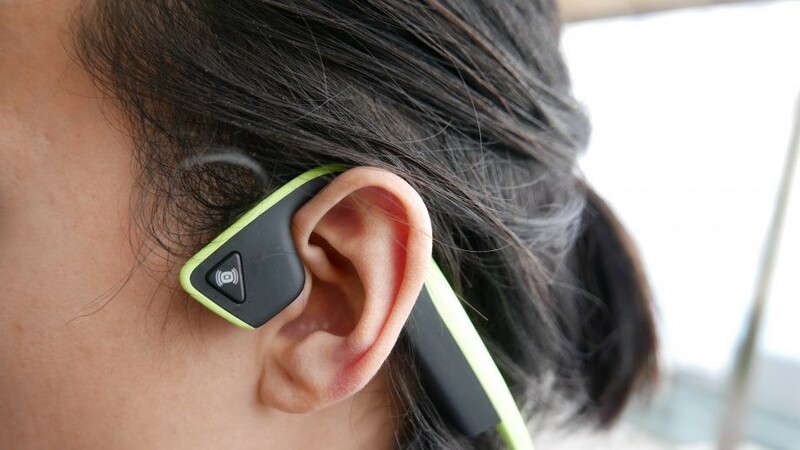 With the development of Bluetooth Bone Conducting Headphones Visually Impaired People can use these earphones to hear devices such as Smart Phones and Tablets while still being fully aware of noises from their environment. For example, if we were using the Smart Phones GPS for directions, we would get these read through the Bone Conductive earphones while our ears would be free to hear traffic sounds and traffic light signals etc. Another example would be at work using a PC with a Screen Reader such as JAWS or NVDA. What is happening onscreen would be read through the Bone Conduction Headphones, and our ears would be free to hear requests from colleagues or if the phone was ringing all without having to remove the headphones. Similarly, at home using a PC we could hear the doorbell ring or any other household alarms or notifications.